myHAIR, LLC makes Cranial Hair Prosthesis for those with a desire for highly realistic and beautifully hand crafted wigs. For medical patients or those with hair loss issues, we can help restore your confidence with a wig that blends naturally with your scalp and hairline. Our scalp prosthesis materials are expertly matched to your skin tone and created with comfort in mind. Using innovative methods and technology, our wigs are virtually invisible and completely effortless once applied. Unlike traditional wigs made with uncomfortable and irritating mesh materials, you’ll forget you’re even wearing it. A cranial hair prosthesis is a hair system designed specifically for those suffering from hair loss due to medical conditions or treatments, such as alopecia areata, alopecia totalis, trichotillomania, or chemotherapy. Unlike an off-the-shelf wig, each prosthesis is custom made to fit. 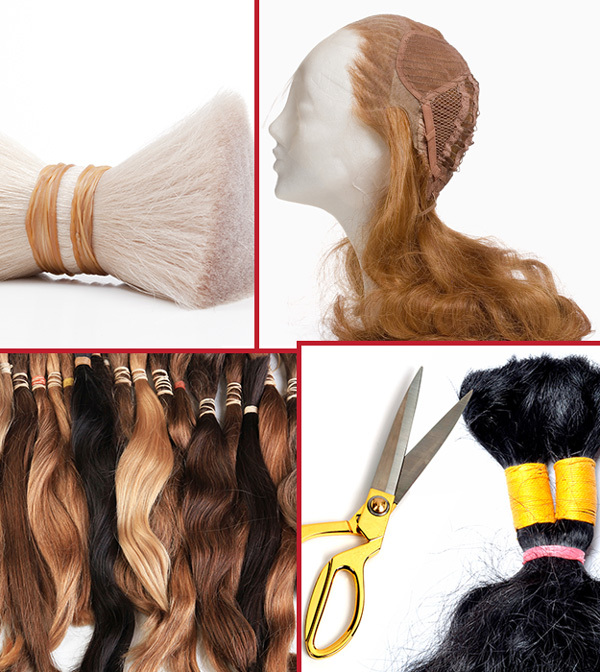 Precise head measurements are taken and real human hair is selected from a large array of colors and textures. As professionally trained hair loss specialists, our team is educated to ensure that the hair system selected is the right shape, style, appropriate hair density, and color for a more natural appearance. Our hair replacement options include full systems, partials, hair pieces for men, women and children, in addition to attachment methods for all systems. We have several choices of base material and adhesive methods, to fit your lifestyle. A Cranial Hair Prosthesis is the latest development in hair replacement units. It is a medical term used to describe a hair system designed specifically for those suffering from long term or permanent hair loss. A custom-made wig specifically designed for individuals who have lost their hair as a result of medical conditions or treatments, such as alopecia areata, alopecia totalis, trichotillomania, chemotherapy, or any other clinical disease or treatment resulting in hair loss. Cranial hair prosthesis can be full or partial and must be clearly identified as a full or partial cranial prosthesis on an invoice or a prescription from a physician in order to claim insurance benefits. The terminology is also used when submitting a medical insurance claim or when claiming additional medical expenses for tax deduction purposes. 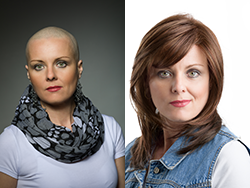 Over 30 million women today deal with hair loss and are in need of a medical cranial hair prosthesis. Each hair prosthetic is custom made to fit your head only. They differ in quality, performance, and service. Hair prosthetics are made of specialized materials. They are designed to meet the specific needs of someone suffering from hair loss. The hair systems are form-fitted to become part of you and designed to be styled as if it were your own hair. They are made to look and feel natural – no one will know it is a wig. Each hair system is made with 100% Virgin Human Hair and can be parted anywhere throughout the unit to give you that natural scalp appearance. Call us! After answering a few questions about your medical condition (hair loss) and medical coverage, we will contact your insurance provider to verify eligibility and coverage amount. Obtain a prescription from the treating physician stating “Prescribed Cranial Hair Prosthesis required for medical reasons”. The prescription must also include the specific diagnosis and diagnosis code. Request a separate detailed letter from the treating physician explaining the extent of the hair loss and the mental distress experienced due to the medical condition, treatment, and effects on daily life. Photograph your hair – ensure the areas of hair loss are highly visible. The photos will show that the claim is not for cosmetic purposes. Flexible Spending Account and Health Savings Account Benefits can be used to purchase a cranial hair prosthesis. Don’t have coverage? No need to stress! If extenuating circumstances apply, flexible payment options may be taken into consideration. We will provide you with a properly itemized receipt when you purchase from myHAIR, LLC as your Cranial Hair Prosthesis may be considered a tax deductible medical expense. I just recently got my first myHAIR unit and I have to say …. I am OBSESSED with it! I have the vacuum cap… I can dance, swim… do it all! And the quality of hair is INCREDIBLE!!! Thank you so much! It’s changed my life! Literally. This medical unit is perfect. It feels so good to receive a beautiful unit like this. As soon as I put it on I felt like a million dollars. Its amazing the difference hair can make to your life. It has brought me so much joy. I have received so many compliments and it has lifted my self esteem so much. I would highly recommend. Thank you myHAIR!